I love the Scout motto, Be Prepared! It fits right in with the theme of our site here on Modern Survival Blog and the things we often talk about. 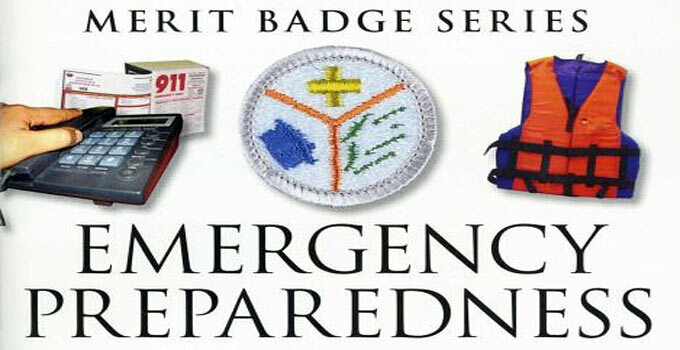 Lets have a look at their Emergency Preparedness Merit Badge. Why? Because I think it’s cool that they have such a merit badge topic and I’ll bet that we can learn something as a result. I’m going to list the requirements, and comment about them. There’s a link to the Scouts page at the end for the exact requirements (though I believe I’ve captured the bulk of it here). Why get the Emergency Preparedness Merit Badge? 1. This merit badge is an option for the Eagle Scout rank. 2. It’s an option for the National Outdoor Badge for Adventure. 3. The badge is also an option for the Emergency Preparedness BSA Award. Plus, it’s just good to know! How do you get the Emergency Preparedness Merit Badge? 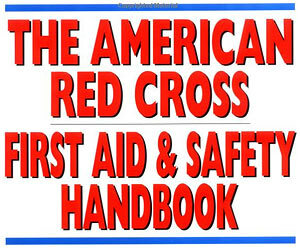 The FIRST requirement is you MUST earn the FIRST AID merit badge. This puts emphasis on the importance of knowing basic First Aid. First Aid is one of the more likely skills that a prepared person may have to call upon during a real disaster. People get hurt. We’re first concerned about the well being of people. Not the ‘stuff’. Have a good foundation in at least the basics of First Aid! There are books, reference manuals, and if you look for it – there are often courses that you can take. Some are quickie sessions while others are more in depth. Talk to your local Fire Department about it. Pretty much every in depth preparedness topic that we talk about here on the blog should be thought about in context with this list of five aspects (prevention to recovery). It helps you to think about each topic in a logical way / timeline. The first three topics focus on fire (in the home). That makes good priority sense. We spend a lot of time at home. A home fire is a very real threat and perhaps more likely to happen than some of the many other risks out there. The next requirement (auto accident) is also sensible. Again, a scenario that any given person may eventually experience in today’s busy world. Again, each chosen subject must be covered with the context from Prevention to Recovery, and all that’s in-between. (b) A structure filled with carbon monoxide. I watch a television series called North Woods Law (some of it filming in my ‘backyard’ -almost literally). The show originally started in Maine (Warden Service). Though it’s currently about the New Hampshire Fish & Game Department dealing with the various issues that they encounter. Some of which have been mountain rescues. I’ve watched a few episodes (on trails that I’ve been on) where they’ve had to stabilize and then carry an injured adult 2 miles down a mountain slope to a waiting ambulance. Now that’s work! (b) Identify the local government or community agencies that normally handle and prepare for emergency services similar to those of the NIMS or ICS. (c) Find out who is your community’s emergency management director and learn what this person does to prevent, protect, mitigate, respond to, and recover from emergency situations in your community. – Messenger service and communication. – Collection and distribution services. – Group feeding, shelter, and sanitation. All that for a Emergency Preparedness Merit Badge! I wonder how many of you knew the extent to which it takes for a Scout to earn such a merit badge. The more young people that know this stuff, the better. This, along with much of the rest of Boy Scout culture, makes for more self reliant individuals! That’s a good thing! This kind of learning is great for our kids. Have any of our MSB readers been involved with the Scouts? Note: We’re not going to talk about the politics of the Boy Scouts of America and how they’ve integrated with having girls being able to join up. I see pros and cons there, but not for this discussion. Thanks. My son was active in scouts from first grade until he graduated high school. He is a “Life” Scout–never did the final project to get his “Eagle,” much to my chagrin. He learned a lot in scouts and was exposed to things that he might not have been otherwise. I remember him working on his Emergency Preparedness badge; it was an easy way for me to get him involved in having his own BOB and to later on still have the right mindset for a GHB once he had his own car. He hears enough from me about “just in case;” it’s always good to hear it from someone else, too! Scouting has been a big part of our family’s life. Both my sons are Eagle Scouts. My son in law, all of my nephews (5), brother in law, and brother are eagles too. My dad received the silver beaver for his work as scout leader. I was a Life scout that didn’t get Eagle, to teach my dad a lesson. All are employed and don’t live with their parents. I co-founded a troop and was committee chairman, guy in the back ground that makes sure Scoutmaster has all the tools he needs to run the troop. We had an excellent Scoutmaster and the troop thrived. We were camping oriented troop. We wanted the scouts camping every month and at summer camp. We were not afraid to let the scouts fail, that’s how they learn. The senior patrol leader (a scout) and the Scoutmaster came up with the program for the year and it was executed. When I passed the reins on, we had 24 scouts in our troop earn the rank of Eagle. I learned that if a parent was involved, the chance of their scout becoming an Eagle increased tremendously. Single mothers looking for positive male role models for their sons would enroll. I had the 1st assistant Female Scoutmaster go on a campout. When questioned about it, I simply said I guess she gets her own tent. Her son became an Eagle too. The troop celebrated its 25th anniversary last year. Were their troubles and problems, sure but you work through them. We also learned to focus on our troop and our scouts, not the politics. We had scout leaders that inspired me to want to become a better person. I consider my work with the Troop and all the leaders to be one of the things I am most proud of in my life. Impressing this upon our young kids is life altering at that young age. They’ll never forget, and their training will always be some part of their life, no matter how big or small. On my honor. That little phrase has always meant a lot to me. A man with no honor is no man. Boy scout law, when you think about, those 12 words are all we really need to chart a course through life. I made it to Life before girls got in the way of Eagle. I was a Boy Scout that made it to Star rank prior to my departure to begin working on farms and ranches of a depressed area of California. Many within our troop went on to lead good productive lives with very few ending up in prison unless they were working as a guard. Among my friends in our troop we had many become soldiers, sailors, airmen, marines or coast guard. Some of us became fire fighters, cops, rangers and paramedics. My first merit badge was in First Aid. My first job in Emergency Services was as an EMT-1 becoming a Paramedic 3 years later. I served my time as a cop working under Reagan Presidency in the 1980’s. ( Reagan wanted all his federal employees to go through Police Academy back then.). Some of our scoutmasters were from blue collar professions and they liked to hunt and fish. Others…not so much. They were our role models growing up. They taught us to do the right thing. Years later, they enjoyed when we came back home to visit and tell them what we were up to. I am not involved in Scouting these days beyond making donations that my wife is unaware of. Scouting, and my time with the organization, has motivated me to be a good coworker and train the new medical staff at the hospital I now work at. 50% of my siblings were in scouts as youngsters. We all earned 4 year degrees and are gainfully employed and law-abiding citizens. One former troop member has become a CDF Battalion Chief, One who became a Sheriff Deputy is now working for the US Marshal Service in Witness Relocation, 2 became US Special Forces Soldiers based out of Ft Benning and 1 joined the Secret Service/Treasury Dept. Most of the Eagle Scouts became small independent business owners. Not bad for a small town Boy Scout Troop. My sister was in Girl Scouts and most of those ladies are doing well these days too. All of the scouting organizations are good…and all of the adults that run the outfits are to be thanked, and respected. You folks make a difference in our young lives. Thank you for sharing this article. My family is at the beginning of our scouting journey. Our twins are Lion scouts right now (Advancing to Tigers soon), and my husband and I both volunteer as Cub Scout Leaders. We will encourage our children to continue their scouting journey and the Emergency Preparedness badge is one that we will make sure our boys work on. It’s information that everyone should know. A little late in commenting on this article, read it yesterday and got sent back to the memories of the Scouts and my Father. He raised 3 boys in Scouting, 2 full Eagle and myself, as a Life. Honestly it’s hard to think of him not being here anymore, was the type of Man that truly lived the Scouts and the true meaning. I still remember standing there in our troop reciting the Pledge of Alliance to the Flag, speaking the Scouts Oath, Law, Motto, Slogan, and Outdoor Code. I know we at times talk of all the “bad” that is going on in the Country and World, I believe we need to recognize the millions upon millions of Good People out there also, no not also, but more-so. The people that are here on MSB and many MANY people around us all remind me of a lot of the Scouts I have known over the years. The “Scouts” and the people who support and contribute to them are truly ones that deserve our following, NOT the vermin that are glorified by the ‘fake news’ and seem to be the center of attention. I know this was an article on Boy Scouts and the learning of skills, let’s us also remember the Girl Scouts, the Cub Scouts and the dozens of other extremely good organizations out there. Please remember the Youth of this Country are our future, we need to stop letting them done. A word on the Emergency Preparedness Merit Badge, yes I have mine (or something very similar), and I contribute my “making it” on my ‘Lights Out Weekends/Weeks’ on a LOT of the knowledge learned in the Scouts and the guiding of the Scouts and striving to “earn” those Badges. Thank you Dad and the other Scout Leaders. I was a Boy Scout before they let girls in. They had a program associated with the Boy Scout program that was integrated and specific. Our troop was sponsored by, mentored by and helped by our local Emergency Squad (which was 100% volunteer at the time) We learned intensive First Aid, how to stock the Ambulance and many organizational skills I use to this day. I wish the Boy Scout organization all the best in their new endeavor. I am sure the girls will benefit. I know I did. As a girl- some may not know this but Boy Scouts has always allowed girls into their sponsored Explorer program. Without that I would never have become an LEO. Both of my sons were in Scouting before we moved and their uncle was their assistant Scout leader. We are now looking for a new troop. They have learned some valuable skills while having good role models. And you can’t knock the values and moral aspect that is instilled and is sorely lacking in society and many young people today. I am of not of the opinion that everything and every group should be open to everyone. There is no harm in having something specific for boys, teaching them to be men. That being said, the fact that Boy Scouts now have female troops (they are not mixed) I think is great for teaching girls the same valuable skills. Wish that Girl Scouts could have provided this, but apparently that is not the case. I know this topic is controversial, but I spent years in the girl scouts and never camped in a tent and learned things like how to pluck eye-brows. Not what I wanted, but I had no choice. Girls were allowed in the Boy Scouts Explorer program, but had to be co-registered in a girl-scout troop and were considered participates. I joined an Emergency Service Post as soon as I was old enough. A few months later they changed the rules to allow girls as regular members. I quit the girl scouts and was the first girl president. I tried to earn Eagle (after all I had 33 girl scout badges), but they changed the rules to prevent that. I married another Explorer Scout. Unusual to say I met my husband in the Boy Scouts. I am a retired Patrol Sergeant (I was also the first female patrol sgt for my agency too). I think options are good. My son, a First Class Scout, just earned this merit badge last month. He has been raised in a preparedness lifestyle, although my wife is not always on board with my efforts. Having him complete this has enlightened my wife more than anything I have been able to do on my own. She is more involved in the preparedness part of our life now because of these requirements. The Scouting program has been a blessing for my son and although he is only 14 I rely on him for great input and he shows good judgment in his choices. Not only has he developed a love of cooking, but takes great pride in the fact that he can cook you a real dinner on a fire he started from flint and steel. Fantastic on your sons accomplishments and his awareness. Great comment, give us hope for the next generation. Thanks for sharing your positive experience with the Emergency Preparedness merit badge – and the knowledge (and foundation) that it will be for his life.